"Allah created mankind, and made me from the best of them, from the best of their two groups. Then He chose tribes and made me from the best tribe. Then He chose families and made me from the best family. So I am the best of them from the best family." Because of the high esteem in which noble descent was held among Quraysh, we find that among the things which Quraysh accused the Prophet (ﷺ) of, his descent is not mentioned, because his origins were well known among them. They accused him of many things that they made up, but this issue was not mentioned at all. 3. The Messenger of Allah (ﷺ) spent the first four years of his life in the desert, among Bani Sa'd, so he grew up strong and healthy, eloquent and brave, able to ride horses well at an early age. His talents flourished in the peace and fresh air of the desert. 4. His intelligence was apparent at an early age and could be seen in his features, which aroused the love of all those who saw him. When he was a young boy, the Messenger came and sat on his grandfather's bed. When he ('Abdul-Muttalib) sat on it, no one among his children (i.e., the paternal uncles of the Prophet) would sit on it with him. So his paternal uncles tried to make him move, but 'Abdul-Muttalib said,"Leave my son alone, for by Allah he has a future." "There is no Prophet who was not a shepherd." They said, "Even you, O' Messenger of Allah?" He said, "Even me." According to another report he said, "Allah never sent any Prophet but he was a shepherd." His Companions said to him, "Even you, O' Messenger of Allah?" He said, "Even me. I tended the sheep of the people of Makkah in return for a few pennies." Why every prophet was at one time or another shepherd and not lawyer or doctor? Then when he reached the age of twenty-five, he worked for Khadeejah bint Khuwaylid (RA), doing business with her money in return for a salary that she paid him. 6. When he was a young man, he did not join his Makkan peers in their idle leisure pursuits. Allah protected him from that. The books of Seerah state that when he was a young man, he heard singing in one of the houses of Makkah where a wedding party was taking place. He wanted to go to the party, but Allah caused him to fall asleep, and he was only woken up by the heat of the sun. He did not join his people in worshipping idols, he never ate the meat of any animals that were sacrificed to them, he never drank wine, he never gambled, and he never uttered foul speech or bad language. 7. He was known for his wisdom and sound reasoning. The incident when he put the Black Stone back in its place in the Ka'bah is indicative of that. The Ka'bah had been damaged by a flood which caused cracks in its walls, so the people of Makkah decided to knock it down and rebuild it. So they did that, but when they reached the place where the Black Stone was to go, a fierce dispute erupted as to who would have the honour of putting the Black Stone in place. Each tribe wanted to have this honour. The dispute reached the point where they were threatening to fight one another, then they agreed that the first person to come in through the gate of Bani Shaybah should judge amongst them. That person was the Messenger of Allah (ﷺ), and when they saw him, they said, "This is Al-Ameen (the trustworthy), we will accept his judgement." When they told him about that, he solved the problem in a manner that was approved of by all parties. He spread out his cloak, then he picked up the Stone and put it on his cloak. Then he told them that each tribe should take hold of one edge of the cloak and lift it up. When the Stone reached its place, he took it and put it there with his own hand, and they all approved of that. By means of his wisdom, Allah protected the blood of the Arabs from being shed in a feud that only Allah, the Exalted, the Almighty, knows its extent. "No, by Allah, Allah will never forsake you, for you uphold the ties of kinship, you help the weak and poor, you honour your guests and you help others at times of crisis." 9. He traveled twice outside Makkah. The first time was with his paternal uncle Abu Taalib when he was twelve years old, and the second time was when he was twenty-five, when he went to engage in trade on Khadeejah's behalf, with her money. Both trips were to the city of Busra. On both occasions he heard the talk of the merchants and saw the towns of the lands through which he traveled, and the customs of their people. 10. A few years before his Prophethood, Allah made him like to go out to the cave of Hiraa' — which is a mountain on the north-west side of Makkah, close to the city — where he would stay alone for a month — during the month of Ramadaan — and think about the signs of Allah's creation and the greatness of His power. He continued to do this until the Revelation came to him with the Qur'an. "I asked you what his lineage was amongst you, and you said that he was one of the noblest of you in lineage. That is because God never chooses a Prophet except from among the noblest of his people and the best in lineage." "The best among you during the Jaahiliyah are the best among you in Islam, if they understand properly." 2. If the Daa'iyah goes through the pain of being an orphan or suffering hardship when he is young, that will make him more sensitive to noble humane feelings., and he will be filled with compassion and mercy towards the orphans, the poor and persecuted; he will strive harder to be just to these groups and show mercy and compassion towards them. Every Daa'iyah needs a large amount of noble humane emotions that will make him feel the pain of the weak and wretched. There is nothing better than suffering in his own life to give him the feelings of the orphans, poor and needy. 3. The closer the Daa'iyah's lifestyle is to the Fitrah (nature), and the further away he is from a complex lifestyle, the more pure, and strong will be his mind, body and soul, and the more sound is his speech and thinking. 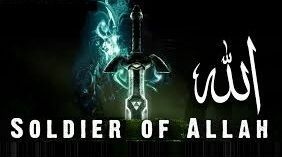 Hence, it was not by chance that Allah chose the Arabs to bring the message of Islam, because, in comparison to the neighbouring civilized nations, they were purer in spirit, sounder in thinking, more proper in morals, and more able to endure the hardships of war for the sake of Allah and spreading His message throughout the world. 4. No one is qualified to lead the Da'wah (preaching of Islam) except one who is intelligent and alert. So those of low or average intelligence are the least deserving of leading the intellectual reform or spiritual movement. Rather, it is one of the laws of life that no one who is dull-witted or confused in his thinking or hold weird views will be able to lead in any field of life with any degree of success. If by chance or circumstance such a person attains a position of leadership, he will quickly falter and his people will shun him, after his actions demonstrate his stupidity, oddness or confused thinking. 5. The Daa'iyah must be able to depend on himself to earn a living, or have a decent source of income, without begging or humiliating himself in any way. Sincere and noble Daa'iyahs do not accept to live on people's charity and gifts. What respect can they have from their people if they humiliate themselves by begging and asking from people, even if they do not do that openly? If we find a person who claims to be a Daa'iyahs accumulating wealth from people through all kinds of deceit, then we may be certain that he has no self-respect, so how must his people and his neighbours view a person who accepts humiliation for himself? How can he call people to noble characteristics and conduct, and confront false and corrupt rulers, and fight evil and immorality, and spread the noble spirit of righteousness among the ummah? 6. If the Daa'iyah is righteous during his youth and has lived a good life, this is more likely to bring him success in his efforts to call people to Allah, reform their morals and fight evil. For there will be no one who can criticize his personal conduct before he began his Da'wah work. We often see that when people undertake Da'wah (call, preaching) and reform efforts, especially in the field of moral reform, one of the most off-putting factors is when people remember their immoral past and previous bad behaviour. This ill-spent past may make people doubt the sincerity of such Daa'iyahs, who may be accused of hiding behind the reform effort for ulterior motives, or of not starting to call for reform until they had had their fill of the pleasures of life, and because of their circumstances or their age they no longer had any hope of continuing to have the worldly gains, wealth, fame or status that they previously enjoyed But in the case of the Daa'iyah who was righteous during his youth, he can continue to hold his head high with a clear conscience. The enemies of reform will not find any way to criticize him for his recent or more distant past; they will not find in his past any grounds for exposing him or calling people to look down on him. Yes, Allah accepts the repentance of the one who repents to Him sincerely, and He erases his past evil deeds with his present good deeds, but this does not benefit the Daa'iyah who wants to succeed in his Da'wah, who could have hoped for greater success if he had a better past and a better reputation. 7. If the Daa'iyah has the experience of travel, living with the masses and becoming familiar with the people's customs, circumstances and problems, this will have a great impact on the success of his Da'wah. Those who interact with people through books and articles without mixing with people of different backgrounds are doomed to failure in their calls for reform. The people will not listen to them or respond to their call, because they will see that they know nothing about their circumstances and their problems. Whoever wants to bring about reform among religious people has to mix with them in their mosques, gatherings and meetings. Whoever wants to bring about reform among the workers and peasants has to mix with them in their villages and factories, eat with them in their houses, and speak to them in their meetings. Whoever wants to reform the people's interactions with one another has to mix with them in their marketplaces, shops, factories, clubs and gatherings. Whoever wants to reform politics must mix with politicians and get to know their organizations, listen to their speeches, read their manifestoes and agendas, then get used to the environment in which they operate, their cultural background and the aims which they are striving to reach, so that he will know how to address them without putting them off, and how to aim his reform efforts, so that they will not resist him because of personal dislike or emotional reasons. 8. The Daa'iyah who wants to call people to Allah should spend time alone every now and then, when his soul may make contact with Allah and he can keep away from all the things that may upset him such as bad attitudes, the stress of life and disturbances around him. During such times of solitude, he should take stock of himself and see if he has fallen short in doing good, or deviated in any way, or failed to follow the wisest course, or made a mistake in his method or way, or indulged in arguments with some people to such an extent that he forgot to remember Allah and feel close to Him, remember the Hereafter with its Paradise and its Hell, together with death and its suffering and agonies. Hence tahajjud and Qiyaam al-Layl (prayers at night) were made obligatory for the Prophet (ﷺ), and they are mustahabbat (recommended) for others. Those who should be most eager to perform these Nafl (voluntary/supererogatory) prayers are the Daa'iyahs who seek to call people to Allah and His Shari'ah and Paradise. Solitude, tahajjud and standing to worship Allah in the depths of the night bring joy which no one knows except those whom Allah honours with these acts of worship. Ibraheem ibn Adham (may Allah have mercy on him) used to say after doing these prayers, "We are experiencing joy which if the kings were aware of it, they would fight us for it." 1 Narrated by At-Tirmidhi with a saheeh isnad. 2 This is mentioned in Bukhari, 1/199, in Kitaab al-'Ilm, Baab man khassa bit- 'ilm qawman doona qawmin karaahiyatan an laa yafhamu (The Book of Knowledge, Chapter: One who addresses knowledge only to some people and not others lest they misunderstand). 'AH (ra) said: "Speak to the people according to their level of knowledge, do you want Allah and His Messenger to be rejected?"